Between Gone Girl, Jane Got a Gun and Netflix’s critically acclaimed Narcos series, it didn’t take long for Boyd Holbrook to establish himself as one of the more bankable supporting actors working in the industry today. It’s a streak he’ll continue through the release of Logan in a few weeks’ time, and in anticipation of James Mangold’s R-rated actioner clawing its way into theaters, We Got This Covered caught up with Holbrook to discuss Wolverine’s imminent swan song and the other projects currently lining his slate. 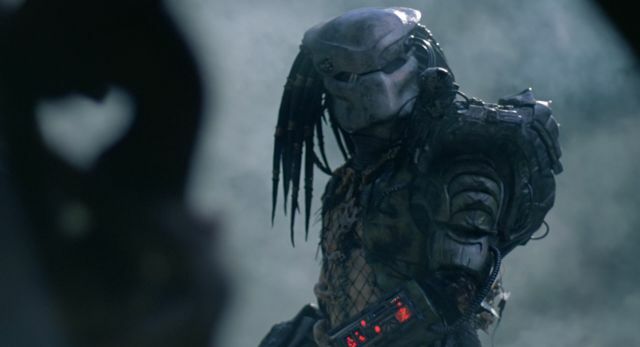 The biggest of them all is, of course, Shane Black’s redo of The Predator, not only because it’s a reboot that has languished in development limbo for years, but it also heralds a promotion for Boyd Holbrook, who’s poised to swap out supporting duties in order to take point as the film’s leading hero. Stepping into a role once earmarked for Benicio Del Toro – issues with scheduling ultimately forced the Sicario star to pass up on Black’s franchise revival – here Holbrook teases the ways in which The Predator blends elements from a number of genres, not to mention how Black is cooking up “something totally new” in time for 2018. If early reports hold true, Holbrook will take point as Special Forces commando Quinn McKenna, leading an ensemble cast comprised of Sterling K. Brown (Black Panther), Olivia Munn, Trevante Rhodes, Keegan-Michael Key, Thomas Jane and Room breakout Jacob Tremblay. What’s more, despite rumors to the contrary, it seems Arnold Schwarzenegger won’t be swinging by for a cameo role after all. Now teetering on the verge of production, The Predator is on course to debut on February 9th in the States. Logan, meanwhile, is booked in for theatrical release on March 3rd.